When you start looking for Omega-3 supplements, one of the most important factors to be taken into consideration would be the ingredients used. It is important to make sure that they are not only effective, but will also deliver a high level of safety. 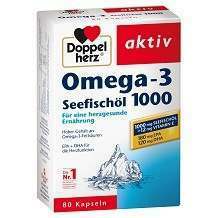 In this case, one of the options you might want to take into consideration is the Doppelherz Omega-3 1000. As it has been claimed by the manufacturer, the ingredients have been carefully sourced and are processed with attention to every step to make sure of nothing but the best outcome. 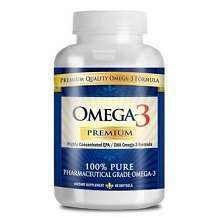 It is abundant with Omega-3 fatty acids, which are known for the wealth of the benefits they can deliver. While Omega-3 acids can be obtained from diet, your body would definitely require more, which is why this supplement should be taken. As it provides the body with the fatty acids it needs, you can be assured that it will promote the best for your heart health. It is also helpful in fighting free radicals to promote the healthier growth of cells. It can also regulate the level of cholesterol and blood pressure, which are both essential in making sure of maintaining your best state of health. If there is one important thing to note about the ingredients, it would be the fact that it only has 360 milligrams of EPA and 240 milligrams of DHA. Such is below the level recommended by health experts. As it has been recommended by the manufacturer, two capsules should be taken every day with a meal. One bottle of the supplement can be purchased for 6.99 euros. Each bottle contains 60 capsules, which can be good for one month supply. Unfortunately, the manufacturer does not provide clear specifications on their product guarantee. You can purchase the product from third-party websites and they may have their own satisfaction guarantee policies. In spite of the absence of such, the manufacturer assures the public that the product is made in adherence with the strict regulations of the German authorities and with internationally accepted practices. They are also made in a state-of-the-art facility, which is going to give you a guarantee of its quality. It is commendable that this supplement contains DHA and EPA, which are fatty acids important for a healthy body. Nonetheless, it is worth noting that the amount of such in the supplement is not in accordance with the levels recommended by health experts. Another drawback is the lack of product guarantee, which means every purchase can be risky as there is no assurance of getting a refund. With its cheap price, however, this may not be a problem for others. If you keep on looking, there are other options you can see in the market, which can be asserted as being better because their manufacturers are offering an attractive policy for return and refund.